My love, you - flawless. Description of the bouquet: For fun, perky and youthful bouquet will be a memorable gift. 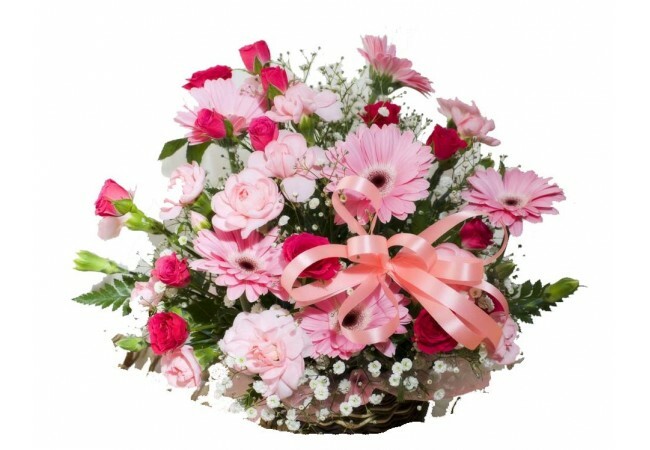 Composition of the bouquet: pink gerbera- 5, rose bush- 4, carnation bush- 4, herbs, small basket.